How so? The players would need to know what every other squad member was earning, and be aware of all dispensations and allowances. Even then, the player cannot be seen as complicit. They don’t need to know what every player’s earning but they can access the rules of the salary cap as easily as anyone (they’re here https://d2cx26qpfwuhvu.cloudfront.net/premier/wp-content/uploads/2016/05/03161651/Salary-Cap-Regulations-2018-19.pdf) so if part of their contract involves ways to circumvent these rules, the player will know. It has been alleged in the past that players were paid in foreign countries, etc. We can see that this would be an attempt to get round the cap so why wouldn’t a player (plus their agent, lawyer, etc)? They dont need to know what every players earning but they can access the rules of the salary cap as easily as anyone (theyre here https://d2cx26qpfwuhvu.cloudfront.net/premier/wp-content/uploads/2016/05/03161651/Salary-Cap-Regulations-2018-19.pdf) so if part of their contract involves ways to circumvent these rules, the player will know. It has been alleged in the past that players were paid in foreign countries, etc. We can see that this would be an attempt to get round the cap so why wouldnt a player (plus their agent, lawyer, etc)? Because a player can be paid in any way that the club deems fit, so long as the club report it. The player cannot be held responsible if the club doesn't report it. If the player knows about something that is against the Laws and doesn't speak up, then that makes him just as culpable. What Laws is it against? Premiership salary cap regulations are not laws, they are an agreement between the clubs to which the player is not a party. Certainly if the arrangements were illegal eg tax evasion, there would be culpability but otherwise nothing more than a small degree of moral culpability, in my opinion. This goes back to the "level playing field" argument. Those clubs with rich backers can afford to pay advisors who can identify elements of remuneration that do not need to be declared. The legal arguments in 2015 took a chainsaw (legal advice) to a gentlemen's agreement, and tore it apart. the original agreement never envisaged the lengths that club owners would go to in order to attract and keep the best possible talent. Headline salaries are one thing, but there are myriad ways to attract players that are nothing to do with headline salaries. Should these be included in the cap, or do we just accept that this is now part and parcel of the game? That a club that used to play to meagre crowds and had meagre expectations, but that has changed with the cash injections. Are the over the salary cap? How can you tell these days? That is really the nub of the issue - it is not really possible to work it out now. I know a Forensic Accountant who would relish the challenge. I get the feeling that things are going okay, don't rock the boat is the current mantra. But how can they "know"? Unless they are party to a huge amount of detail and privileged info. I would guess that the easiest way is to adopt the HMRC method. "Pool cars" have to fit certain criteria; this would include where they are usually kept overnight, what they are used for, who drives them; mileage logs should be kept etc. HMRC might question why a fleet of Range Rovers were needed as pool cars, but then HMRC are also unlikely to back down against the threat of legal challenges. One benefit of the HMRC approach is that they put a value on such benefits as company cars, so that would help to determine whether the salary cap is actually being breached. The clubs would also be aware of what the level of remuneration was, and hence could hardly claim ignorance. Of course, there will always be anomalies, but these could be reduced. Trips to the Middle East - similarly, HMRC have ways to determine whether these are necessary, or whether they are an unpaid for benefit. With companies it tends to involve whether any "work" was done on the trip - so, a jolly to Belgium (for example) might need to include a few training sessions and some PR work, so that it could be considered a business trip. Whereas spending 48 hours drinking 10%ABV beers whilst falling out of horse-drawn carriages might be a harder one to pass off as business related. Quinky totally take your point about the way HMRC treat things and it could be used as a good benchmark, however the salary cap submissions and CT submissions don’t need to reconcile. On the trips to the ME as you’ve pointed out by having a couple of notional training sessions (soft skills) thrown in its very easy to have a jolly classed as tax deductible. Out of interest how are image rights treated under the salary cap? 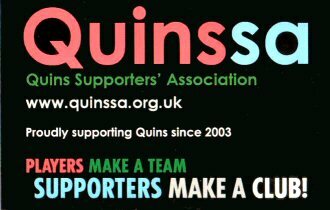 Quinky totally take your point about the way HMRC treat things and it could be used as a good benchmark, however the salary cap submissions and CT submissions dont need to reconcile. On the trips to the ME as youve pointed out by having a couple of notional training sessions (soft skills) thrown in its very easy to have a jolly classed as tax deductible. Indeed, Fursty. I'm no fan of much of HMRC's workings, but it would seem to be a thoroughly thought out methodology and most importantly, one that's hard to challenge but relatively clear. I think image rights are dependent on whether they "belong" to the club or the player. Obviously a player can control their own, and I'd say that's something that agents and clubs may use in negotiations. But I seem to recall that in the days when professionalism was being brought in, there was the guideline that if a player earned money from images or appearances whilst wearing their kit, it counted as rugby related earnings; if not (such as Personal Appearances, after-dinner speaking etc) then it wasn't. Maybe that's still a consideration? Similarly, if the club had a veto on any work that a player could take up, logic suggests that it must somehow affect the salary cap if not being included in it - otherwise the club could simply arrange for remuneration through such a channel and thereby bypass the cap restrictions. These are just my thoughts of course. I have no knowledge of the inner workings of club finances and if/how they can circumvent the cap. I can think of plenty of ways in which at first sight they could get around it, but of course there may be preventions in place to safeguard against any of these. At the same time, whilst many ways would be easy to detect, it must also be said that a good accountant will be able to find ways which are harder or seemingly impossible to detect. Some ways may even be legitimate - such as the players being given better tax planning advice, very generous pension schemes, future career opportunities etc. Does anybody know how Saracens did it? Something must have leaked by now. Was it as simple as being arrogant enough to think that it is not law but just an agreement so not legally binding. The players wouldn’t have to know that they are breaking the cap rules if they don’t all know each other’s contracts. They would probably think they just had a great deal for themselves. Page 38 is where the definition of salary begins.